Blue Diamond offers a variety of HDPE accessories to help complete your project requirements. 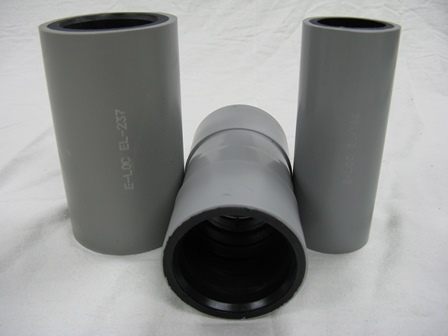 We provide couplings in aluminum and plastic, transition to other materials such as PVC, electrofusion couplers and watertight configurations. Blue Diamond also offers an extensive line of duct plugs, vinyl end caps, cutting tools, repair kits and miscellaneous accessories. Blue Diamond offers ETCO E-loc and Clear Double E-loc Couplers in a range of sizes. 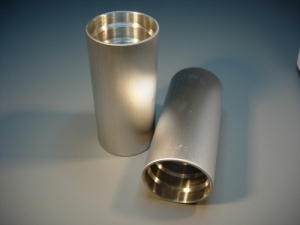 Blue Diamond also offers high performance barbed couplers. For more information see article here. See links above for coupler data sheets. Blue Diamond recently announced its new high performance barbed couplers (picture shown above). Download the data sheet. BDI offers “Conduit Repair Systems” repair products for repair of conduit or innerduct damaged in the field. The Conduit Repair System can repair empty duct or duct populated with fiber or power cable. In addition to various color schemes, accessories and Cable in Conduit, Blue Diamond offers polyester “mule” tape from 1000 lb to 6000 lb tensile strength factory installed in any of our diameters. We also offer detectable tape with a copper conductor woven into the tape, giving you a single product for detecting, measuring and pulling.